It was on August 15, 2017 when near a gate at Zurich-Kloten airport an important figure from Lufthansa, notably the CEO of subsidiary Swiss, Thomas Klühr, focused his thoughts on the European aviation market. "Overcapacities in Europe are just too big; consolidation has to go on," he demanded. 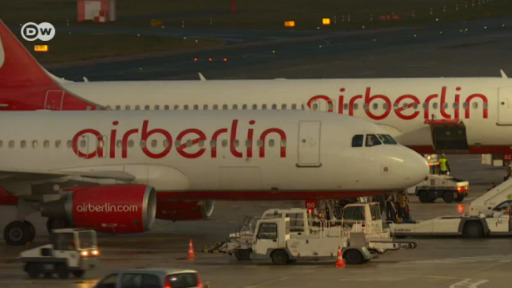 Just an hour later, we learned about Air Berlin having filed for bankruptcy protection in a move that's bound to lead to more consolidation in the market. Only on September 25 will we know for certain whether Germany's second-largest airline will be sold as a complete entity which is rather unlikely. Or whether important assets like routes, crews and leased planes will be absorbed across the various bidders. The most likely scenario is that Lufthansa, alongside easyJet and possibly Condor, will secure the bulk of the assets which would also mean that Air Berlin as a trademark would disappear. "All forms of consolidation are good," said Lufthansa Chief Financial Officer Ulrik Svensson. The European market is very fragmented, and so is the airline market in general." The US serves as an example for current consolidation efforts. There, the number of big carriers has gone down from nine to four within a few years. "If you look at what's happened in the US, you'll have to conclude that it helped the sector a lot," Svensson added. "That's why I do believe that current developments in Europe are also a positive sign." Air Berlin is not the only case in point — Alitalia isn't doing any better, with bidders now also fighting for its assets after its investor Etihad pulled the plug on more funding. Rivals such as Ryanair are interested in securing some assets and improve their market position in Italy. It's difficult to predict whether Alitalia as a brand will vanish into thin air. The carrier has been extremely resilient so far despite decades of losses, disappointments, sales and new beginnings. The aviation industry is booming. And even unprofitable companies are doing OK because of low fuel prices and a strong euro. Analysts from London-based Liberum say such factors could extend the current short-time boom a bit more. "But we reckon that short-term income trends are only hiding underlying challenges for many airlines." Right now, there are five big competitors in Europe — Lufthansa, IAG (British Airways and Iberia), Air France-KLM plus budget airlines Ryanair and easyJet. These will also be the big players in future. But then there are a number of smaller, mostly state-run carriers, which will not be able to survive on their own. Among them are SAS, TAP Air Portugal, LOT, Tarom, Air Malta, Finnair, Czech Airlines and Luxair. All of those are potential candidates for takeovers and mergers. But they are hardly ever lucrative partners for bigger competitors as they come with big debt loads and expensive collective bargaining agreements. At the same time, the big five cannot ignore the trends and offers coming from budget airlines. Over a third of all flights in Europe is provided by the low-cost segment. Air Berlin failed to position itself firmly in that market while trying to serve everyone's interests. Inner-European routes will be operated in the future almost exclusively by budget airlines, which will also increasingly transport passengers to their connecting flights with larger carriers. Oftentimes, big airlines have a low-budget subsidiary to do that job for them. Lufthansa has Eurowings, IAG has Vueling, and Air France-KLM can resort to Transavia and HOP and soon Joon which is to target millennials and will fly to Berlin, Lisbon, Barcelona and other cities high on the agenda of its potential passengers. Let's not forget the insecurity the market is feeling over Brexit. Ryanair CEO Michael O'Leary has warned that there's a real risk that some airlines may no longer be able to operate routes starting or ending in the UK. Germany's Lufthansa could emerge as the big winner in the wake of Air Berlin's insolvency and Britain's exit from the European Union. Lufthansa shares have been soaring in recent weeks. "With Brexit at hand, Frankfurt is bound to profit most among the big European aviation hubs," Ulrik Svensson rejoiced. "And this will help Lufthansa, with Frankfurt being our focus."